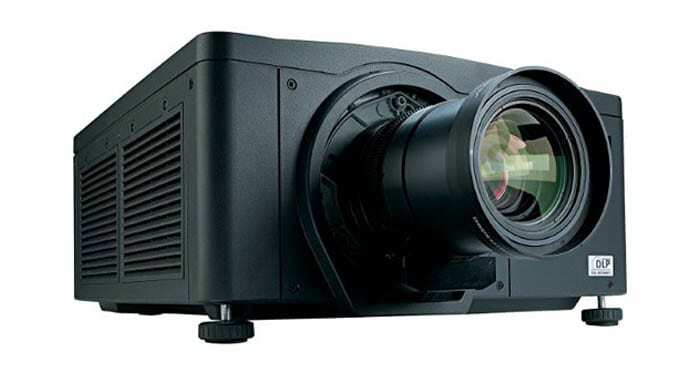 Unlike the past when there weren’t many options to choose from, there are four main types of video projectors available nowadays. We’re going to look at each one to help you buy the right kind of projector and the best projector screen for the workplace. Each of these has their own pros and cons and depending on the type of content you are looking to project and the setup you have in your room, one might be better than the others for you. LCoS projectors work by shining light through a special panel to create images. However, unlike LCD that shine lights through a single panel, LCoS projectors reflect light off three panels that combine, creating images. By reflecting the light off the panel, the produce darkest black levels and better contrast rations than other kinds of projectors. Darker black levels help to make films more immersive when they are viewed in a darkened room. Letterbox bars you get from CinemaScope-formatted movies are eliminated and shadows are improved. Improved blacks also improve the contrast ratio, making the images pop. The problem is that they don’t tend to provide the same brightness as LCD and DLP projectors. As they don’t offer low light outputs, they are not as good with huge screens. With screens smaller than 140 inches diagonally, they will be able to fill the full screen. However, anything bigger and you need to use a brighter option. They are also prone to blurring images on faster moving projected images than LCD and DLP. This isn’t an issue with film, but it is with 3D and sports content. LCD projectors are a middle ground between LCoS and DLP varieties. While they’re not quite as bright as DLP models, they are brighter than LCoS options. They are not as good as LCoS projectors at producing dark blacks, but do it better than DLP models. Motion produced by LCD projects may not be as fast or sharp as DLP models, but is far better than LCoS models. 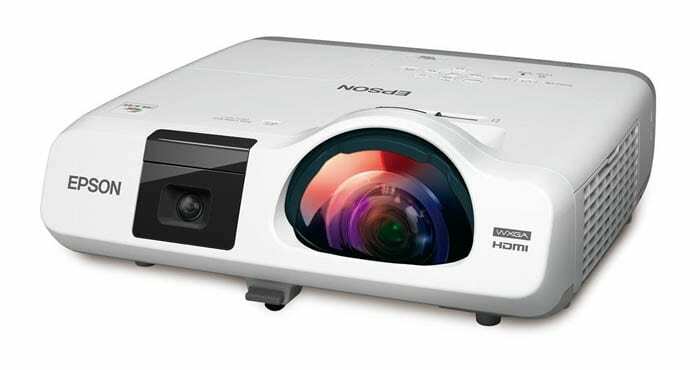 LCD projectors tend to produce less accurate 3D images, but are better at producing bright 3D images than LCoS models. LCD are very affordable, with some being similarly priced to single-chip DLP models and higher-spec models costing just a couple of hundred bucks. Click here to learn more about how LCD projectors work. 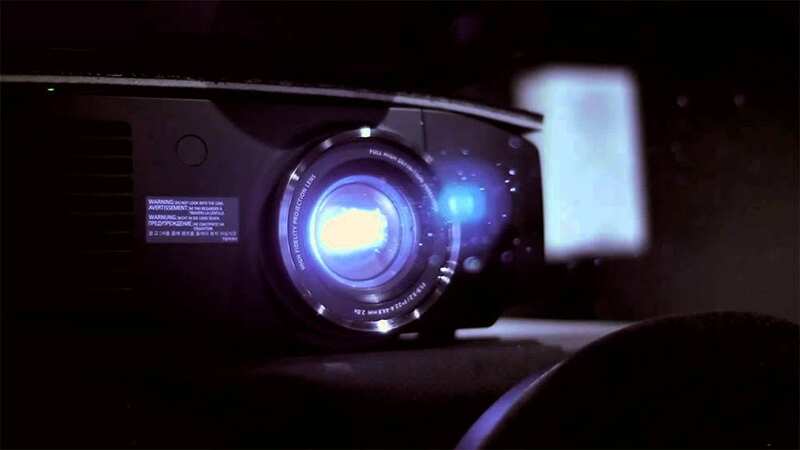 DLP projectors consist of numerous microscopic-sized mirrors that are both tilted towards and away from the light source inside the projector, to create dark or light pixels on the screen. They are available in both three-chip and single-chip variations. Single-chip models produce sharper images of any home projectors. 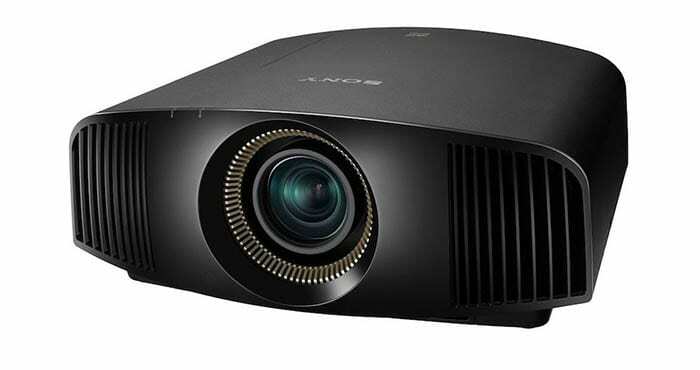 Although most projector types use three chips or panels, DLP are the only ones that use a single-chip. This reduces the problems associated with panel alignments and produces razor sharp images. A single-chip DLP model achieves this by using a color wheel, rotating it between the primary colors. This is fine for most people, but others notice it produces a rainbow effect, that breaks up the images into separate blue, green and red images. For instance, if you are projecting white text and then move or tilt your head, you may see text in those three different colors. This is why it’s important to watch something on a DLP model to ensure you don’t see multiple images before you buy one. Three-chip models don’t suffer from the rainbow effect, as they use a separate chip for each color rather than color wheels. The downside is aligning all three panels perfectly can be more difficult and requires a more expensive and complicated design. Three-chip models are often used in movie theaters. These are able to produce brighter and bigger images compared to other types. You will also find them available with resolutions as high 4K and that can produce greater numbers of colours compared to others. However, this can depend on the type of projector screen you have. DLP models are normally the best choice for watching movies in 3D. As the mirrors they use switch off or on completely, there is not the issue of double images found in LCoS and LCD models. This makes them a great choice for watching sports too and playing video games, because of their lower lag times and faster response. 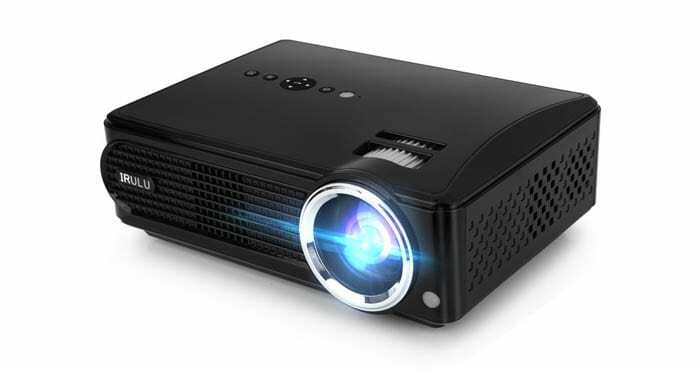 If you’d prefer to avoid maintaining projectors by replacing bulbs regularly, you should consider investing in either a LED or laser projector. LEDs are utilized in projectors to provide a longer lifespan, of 20,000 hours or even more, compared to conventional bulbs. Other benefits include the fact that Green, blue and red LEDs replace the lamp in a projector, meaning a color wheel is not necessary. Without the color wheel, there is no rainbow effect, as is noise generated by wheel movement. As you’d guess from the name, these projectors use lasers along with either an LCoS or DLP engine to produce images. Similarly, to LEDs, lasers last from 20,000 to 30,000 hours and don’t dim over time. They are also fast so they can switch on and off almost immediately to produce deeper darks than conventional lamps. When laser models die, they can be resurrected by replacing the lamp. However, as they last up to 30,000 hours, you could in theory use a laser model for six hours every day and still get around 14 years out of it before it stopped working.